Managing Negative Emotions Without Drinking is the ideal companion to Emotion Regulation Treatment of Alcohol Use Disorders. Each of the 12 individual weekly treatment sessions presents scientifically tested strategies for managing emotions without alcohol, including mindfulness practices, direct experiencing of emotion, and cognitive and behavioral skills to manage high-risk drinking situations and prevent relapse to alcohol use. 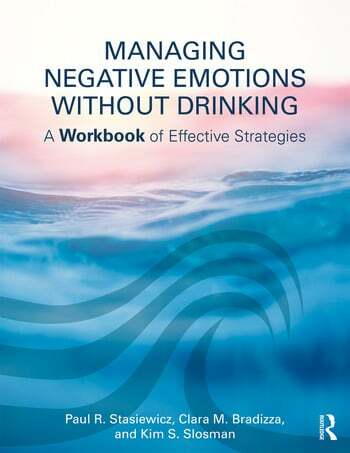 The step-by-step exercises, user-friendly worksheets, and in-session and between-session skill practice help clients gain a basic understanding of the role that emotions play in harmful alcohol use and assist them in developing the skills needed to manage these emotions and cravings without alcohol. Paul R. Stasiewicz, PhD, is a licensed clinical psychologist as well as senior research scientist and director of the Addiction Treatment Services outpatient clinic at the University at Buffalo's Research Institute on Addictions. His research, funded by the National Institutes of Health, focuses on the development of novel behavioral therapies for alcohol use disorders. Clara M. Bradizza, PhD, is a senior research scientist at the Research Institute on Addictions and a research scientist in the Department of Family Medicine at the University at Buffalo. Her research, funded by the NIH, includes the development of innovative affect-based interventions for both alcohol and smoking. Dr. Bradizza is a member of the University at Buffalo (UB) Institutional Review Board and is a grant reviewer at the National Institutes of Health. Kim S. Slosman, MS, LMHC, is a clinical research project director at the Research Institute on Addictions at the University at Buffalo with more than 20 years of clinical practice and supervision experience in mental health and addiction. She also has experience delivering manualized treatments and served as a therapist on four previous clinical trials involving emotion regulation training for substance abusing clients.